Are Extended Car Warranties Worth The Extra Money? Not all Extended Car Warranties are created equal. Here’s how to tell if a policy is any good — and whether or not you’re likely to use it. A warranty is supposed to give you piece of mind. It’s meant to protect you as a customer in case something unexpected goes wrong. Instead, shady characters turned those protective tools into financial weapons. Then they used them to bleed customers. The worst example is US Fidelis. They’re a now-discredited insurer, and their founder went to prison. Why? Because they sold worthless plans that, as it turned out, didn’t protect anyone from anything. Cons like US Fidelis are an extreme example. Most of the time, a bad warranty isn’t criminal — it’s just bad. As in, it doesn’t protect you in the way you need it to. Far too many customers have come to us from other dealerships, saying that they discovered their protection plan wasn’t all it was cracked up to be. That’s one of the reasons why service plans received a bad rap in the past. A customer goes in to get something fixed, and an insurance company denies everything. So are extended car warranties ever worth it? They can be — if it’s the right contract, and if you’re the right type of person for it. While the terms “warranty” and “extended service contract” are used interchangeably, they’re two different things. A warranty is issued by the car’s manufacturer. On new vehicles, it typically lasts for 5 years or 60,000 miles. But for this, you pay nothing. Warranties are included in the price of the car. An extended service contract typically costs between $2,000 to $2,500. They provide coverage that picks up where the manufacturer’s warranty ends. In simple terms, an extended service contract is a form of insurance. Like any other form of insurance—health, life, homeowners, you name it—you purchase the policy hoping you never have to use it. Indeed, roughly half of all car owners don’t. A 2013 Consumer Reports study found that 55 percent of people who purchased service contracts never used them. For the other half — those who buy a service contract and do wind up using it — an extended service can prevent a hefty repair bill. Many garages today charging more than $150 per hour of labor. Add in the cost of parts and things get expensive fast. So a policy could turn out to be a big bargain. Start with the questions below. They’ll help drive away confident in whatever decision you make. What type of coverage is this, specifically? Broadly speaking, warranties and service plans fall into three categories. Bumper-to-bumper coverage: This is high-end coverage that protects everything. It’s rare to find this in a service contract, but on new cars, it’s generally included in the manufacturer’s warranty for the three years (or 36,000 miles). On certified pre-owned vehicles, it’s one year (or 12,000 miles). The reason: If a wear-and-tear part fails in the first 12 months or 12,000 miles, clearly there’s something wrong. So a manufacturer is going to cover everything during this period. Powertrain coverage: This is the most basic and affordable plan. It includes only the mechanical components that keep the car running: The engine, transmission, and perhaps the 4-wheel drive system. On new cars, this coverage typically falls under the warranty for 5 years or 60,000 miles. After that, if you still want powertrain coverage, you’ll need a service contract. Everything else: Between the extremes you’ll find an array of options. They could cover rust, airbags, electronics, power windows, the A/C and heater, and so on. What you won’t find are parts that degrade naturally with normal use. After one year of coverage, nobody covers wear-and-tear, for example. Wear-and-tear parts include tires, brake pads, filters, windshield wipers, and fluids like coolant and oil. Wear-and-tear also includes rotors, batteries, spark plugs, timing belts, water pumps, and clutches, as well as minor cosmetic damage (carpet stains and scratches). This may be the most important question you ask a finance manager about an extended service contract: “What doesn’t this cover? The question cuts to the heart of the matter. You want an answer that’s short and simple. Ideally they’ll say, “The plan covers everything but routine maintenance parts.” But if the finance manager begins rattling off all sorts of specific scenarios and parts, you’re looking at a complicated plan with lots of caveats. That may cost you later. For example, we often see customers who bought extended warranties elsewhere, and when we call in to get an approval on the repair, we find out it’s not covered. Whoever sold it made the customer think that their plan would cover everything — but it didn’t. So be sure you know what does — and doesn’t — make the cut. This warrants specific attention, because it’s an area where dealers often mislead customers. Let’s say you have powertrain coverage, and the car’s transmission dies. If it’s the computer chip that regulates the transmission that failed, that’s not going to be covered. That’s not to say you always need electronics coverage. But you should know what you’re paying for. So be sure to read the contract before you sign, and if anything seems odd, ask about it. Even though the dealership is who sells you the contract, it’s ultimately a third-party insurance company that holds the policy. If the company has a bad reputation, you want to know that. 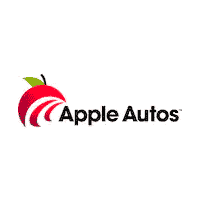 At Apple Autos, we use Easy Care, which has an A+ rating from the Better Business Bureau and consistently ranks among the best in the industry. Is the plan “stated” or “exclusionary”? A stated plan lists everything that’s covered in the contract. An exclusionary plan does the opposite: It lists only the things that aren’t covered. Exclusionary plans are naturally going to cover more. But of course, they’ll cost more, too. Be sure you know what you’re paying for. Will I pay my deductible once per visit, or once per repair? Deductibles typically range from $100 to $500. With most plans, that’s the flat fee you pay, regardless of how many repairs you need. So if the engine, transmission, and four-wheel drive system all go out, you pay your one deductible to get it all fixed. But the Federal Trade Commission reports that some plans are written so that the deductible is paid per repair. So if you have a $250 deductible and three things go out at once, you’d have to pay $750 to have them fixed. Be sure to ask whether your plan’s deductible is charged per visit, or per repair. Where can I use the policy? Be careful here. A lot of dealerships sell service plans through the auto manufacturer, which is great until you try to use those plans at a shop that’s not an authorized dealership for that car. Say you bought a service plan from a Ford dealership, for instance. Depending on the terms of the plan, it might stipulate that you can only have your car serviced at another Ford dealership. For example, you could be vacationing at the Grand Canyon when your car breaks down, and there might not be a Ford dealership for 200 miles. You’d be out of luck. Our plans, on the other hand, allow you to go to any ASE-certified repair facility. That covers 99.9 percent of the mechanic shops. It could be a Chevy dealership, a Toyota dealership, or a Lamborghini dealership. It doesn’t matter — you’re covered. So ask the dealers’s finance manager about service options. If you can’t get a straight answer, that’s a problem. Ultimately, the value of a service contract comes down to this question. The fact that insurance companies offer these plans should clue you in to the fact that, much of the time, they are making money off of them. Does that make an extended service contract a bad deal? Not necessarily. If you happen to be the unlucky customer who finds him or herself facing a $4,000 repair bill, that $2,000 investment will be well worth the investment. So what scares you more—the thought of paying for something you might not use, or the thought of a massive shop bill that you will have to pay out of pocket? Could you handle being hit with a big bill unexpectedly? One way to evaluate the risk is to think about your monthly cash flow. If your personal savings is deep, and you could write a four-figure check to get your car out of the shop with no problem, then a service contract might not be worth the cost. But if your funds are tight, it might make more sense to budget for a small monthly payment instead of an expensive surprise. Say you’re relying on financing to purchase your car. In that case, the cost of your service contract will simply roll into your monthly bill. You’d end up paying something like $35 a month to avoid a potential one-time hit that’s far bigger. Buying a service contract is a gamble. But then again, so is skipping the service contract. You have to decide which option you’re more comfortable with. How long do you plan on owning the vehicle? If the car you’re buying is still under the manufacturer’s warranty, and you plan on selling or trading it in before that warranty expires, then there’s no reason to buy a service contract. For example, let’s say you’re buying a 2-year-old car with 30,000 miles on it. That still has the factory coverage on it. So if you plan on upgrading within a couple years, you might be fine foregoing a service contract. The same is true for leases. Most leases are two or three years long — a period that’s well within the manufacturer’s warranty period — so no extended service contract would be necessary. Do you need everything to work? You don’t have to buy the most expensive service contract. You might be fine with powertrain coverage, which offers just enough protection to keep your car running. Say you’re buying an older truck, for instance. You just need to keep it healthy enough to haul tools, and you don’t care about things like the A/C or radio. Some customers say, “as long as the car’s running, I’m good.” In those cases, a less expensive powertrain service contract is best. It’ll keep your vehicle on the road, but you won’t be paying to insure the luxuries. 0 comment(s) so far on Are Extended Car Warranties Worth The Extra Money?